Product prices and availability are accurate as of 2019-04-20 23:05:33 UTC and are subject to change. Any price and availability information displayed on http://www.amazon.com/ at the time of purchase will apply to the purchase of this product. Every dog should have a point of view. The Pet Peek window can easily make that possible. ?Dogs are curious; they want to know what's happening out there. Help satisfy their curiosity and make it possible for them to have a peek. 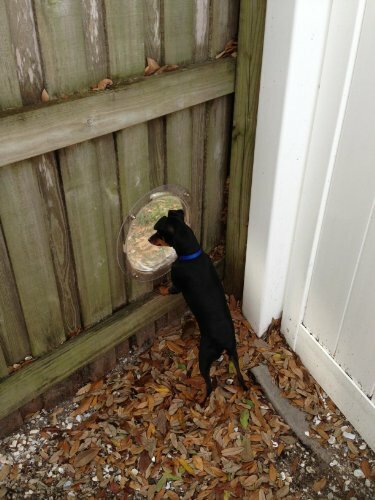 The Pet Peek window is a durable, clear, hard acrylic dome 9.5 Inch in diameter and 5 Inch deep, with a black trim-ring and all necessary hardware for easy do-it-yourself installation into your wooden or vinyl fence. 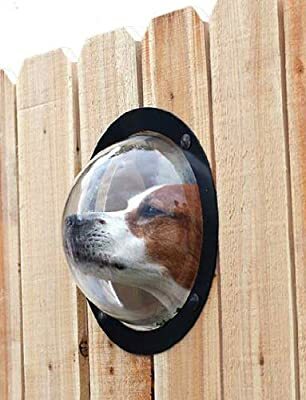 It is an attractive addition to your fence. Cleaning is easy. Just spray down with a garden hose as necessary. Other ideas for usage include dog kennels, dog runs and even playhouses for children. 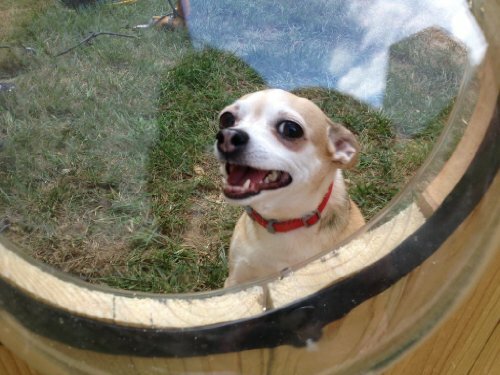 Landscapers, interior designers and exhibitors have all used the Pet Peek in various ways. 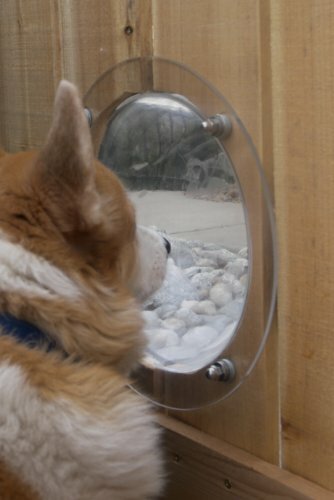 Even the Smithsonian Museum used a Pet Peek in its Man on the Moon display. 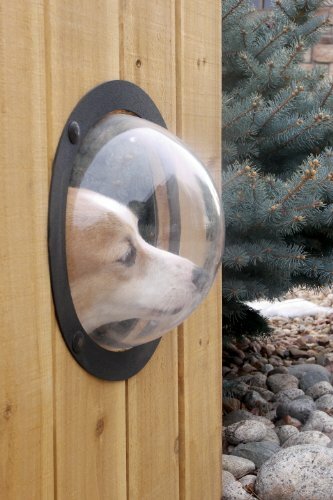 The Pet Peek is usually installed 24-36 Inch from the ground, depending upon height of the dog. 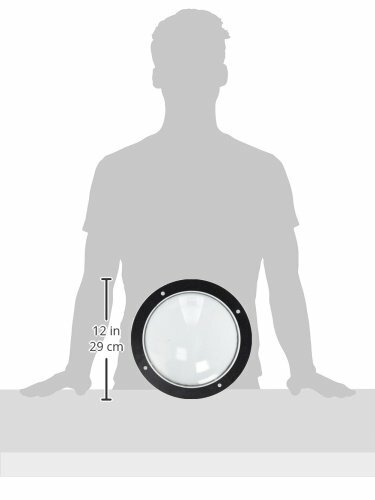 The Pet Peek is constructed from 3/16-inch clear acrylic with a 1.25-inch flange and is installed with four, 1.5-inch step bolts, which are included in the package. To install, you just need safety glasses, a metal tape measure, a pencil, a circle saw and drill. Installations should be reserved for wood panel fencing, vinyl fencing, wood and dry wall. Depth of the mounting surface should be measured for best placement. Made in the USA.